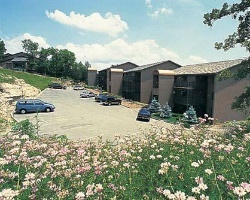 Treetop Condominiums is located in the community of Four Seasons on Lake of the Ozarks. Four Seasons is noted for its two 18-hole golf courses, a nine-hole executive course, four restaurants, a nightclub, boat rentals, and marina. There are also two outdoor tennis courts at the resort. Boating and water sports on the lake will fill vacation days with sun and family fun. Some amenity use fees apply. Attention lake & golf lovers! Yearly usage in May week 22! 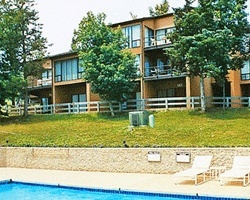 Suite is in lake view building that is handicap accessible! Make an offer today! resort-name In Treetop Condominiums at Four Seasons, U.S.A.